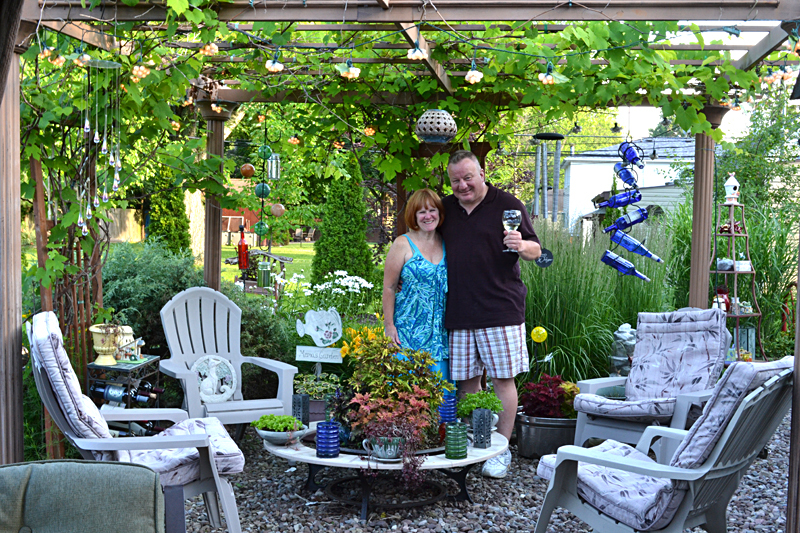 Linda and Jaime Klubek of 48 Cadman Dr., Williamsville, have so many gardens they have named them. 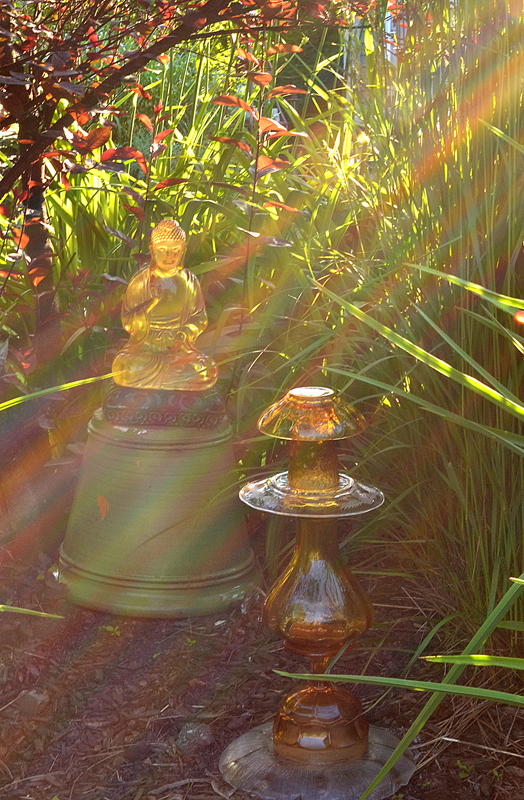 There’s the Asian garden featuring decorations influenced by that part of the world; the art garden, which features original glass creations made by Linda as well as statues and recycled items; the frog garden, home to many playful statues of frogs; the shoe garden, which contains a collection of shoe-shaped planters, and the grotto, a quiet and secluded spot for prayer. 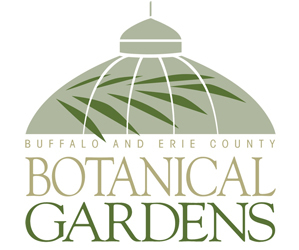 You can see all of these gardens on the Williamsville Garden Walk to be held 10 a.m.-4 p.m. Saturday, July 19. You can pick up maps at Williamsville Village Hall, 5565 Main St., Williamsville. Don’t miss the fabulous sidewalk sales, plus a farmers market from 8 a.m. to 1 p.m. with fresh local fruits and vegetables, meats, baked goods, plants and flowers. There are also several public gardens to see, including the Heritage Garden of 1812 at Main and Evans that was the site of a huge hospital encampment of American soldiers during the War of 1812. 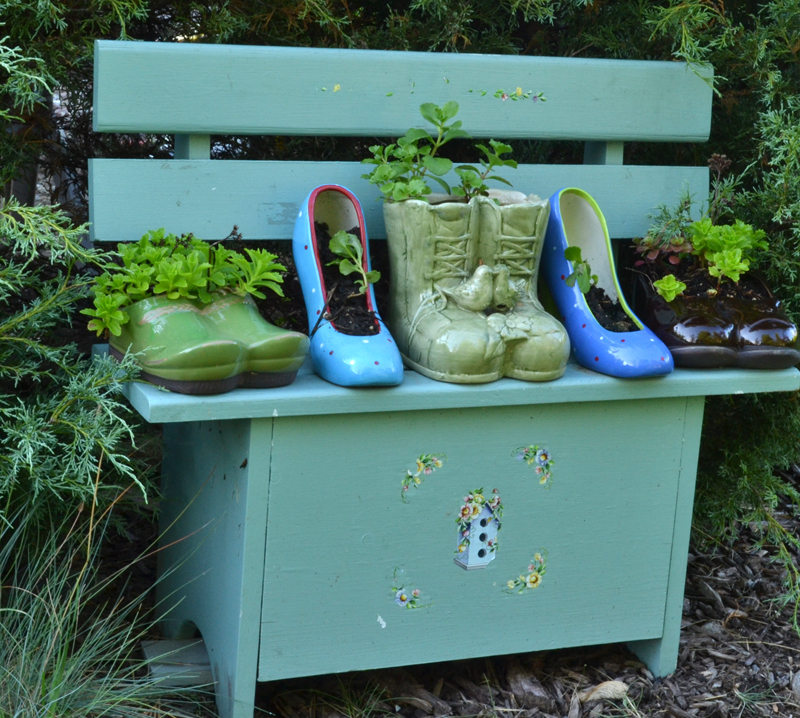 If you want some ideas for repurposing items for your garden, visit the Klubeks’ garden. “Everything we have we try to find a second use for,” Linda said. Planters have been made out of old fire pits, grills and bird baths. 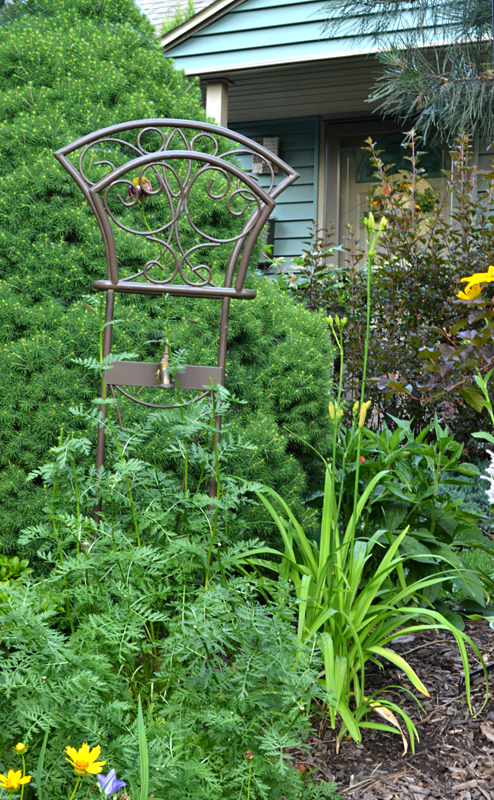 At left you can see a beautiful metal trellis in the front yard. It been designed to hold a hose. When it outlived its usefulness, Linda was ready to throw it out, but realized she could repurpose it. 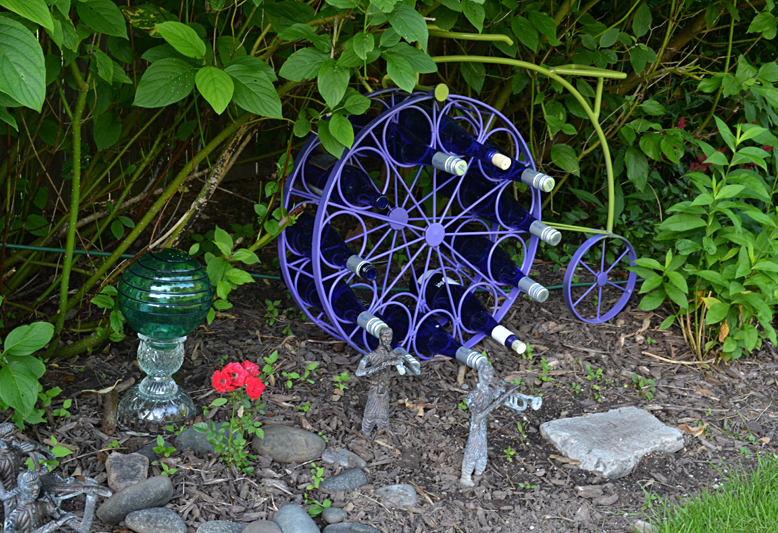 Linda uses old glassware that she picks up at thrift shops to make colorful, multi-tiered creations that are especially pretty glinting in the sunlight. 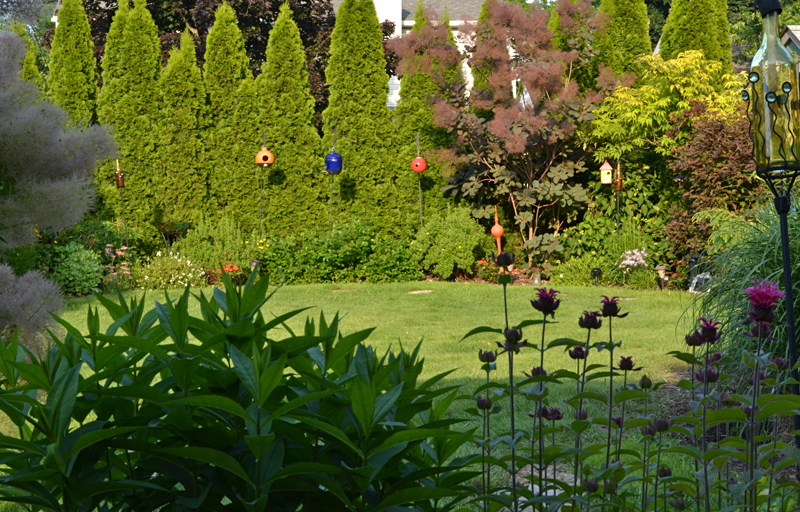 You can see them in the art garden, below, and throughout the yard. I gave you instructions recently on how to make a glass mushroom decoration. You can start with those guidelines and get inspiration from Linda for your own creations. Evergreens are an important part of the Klubeks’ landscape, which is only seven years old. They have Austrian pines, mugo pines, hemlocks and junipers. Below is a row of arborvitae that provide privacy as well as shield the yard from the wind and sun. The shrubs can be taller than the highest fence allowed in the village, they look nicer than a fence and are cheaper, too. Many people who visit during the garden walk like to take photos of themselves against the arborvitae, and it provided a backdrop for the wedding of their son Wesley to his bride Erin. They also used the grotto in their yard. The grotto is dedicated to Our Lady of Victory. The Klubeks are praying for the sainthood of Father Nelson Baker, who founded Our Lady of Victory Basilica in Lackawanna as well a hospital, an orphanage, boys home and many other community services that continue through Baker Victory Services. The Klubeks have a nice lawn, but it can get boggy. Here’s how they dealt with the problem. They dug a trench two or three inches deep and filled it with #2 gravel, which is a size generally used for drainage. The trench circles the yard and goes to a sump pump. As needed, they pump the water out. They simply let the grass grow over the trench so you can’t see it. The project was much cheaper than installing drainage tiles, Jaime said. The Klubeks enjoy entertaining. Expect to be offered some lovely refreshments during the garden walk. Music and lights are also important to the couple. They find that visitors to their garden tend to linger. “It’s our oasis,” Linda said. Lots of ideas, love the glass sculpture.